Timpte would like to recognize and congratulate employees who received the 2018 Tom Gamel Innovation Awards! This is the second year this program has been in place to recognize outstanding and innovative performance amongst our team members. These awards honor Tom Gamel’s tremendous support of Timpte during his 50 years of service with our company as well as his leadership and commitment to Timpte and its employees. Each recipient was nominated by a fellow employee or group of employees and received a cash award, as well as an individual recognition plaque. They will also be recognized on a historical Tom Gamel wall mounted plaque. 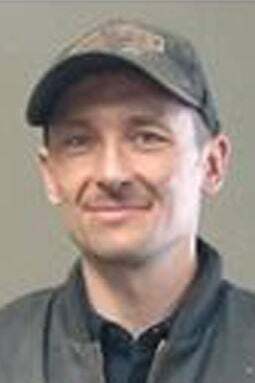 Brake System Test ToolAward received by Oleksandr “Alex” Mazuryk, technician (Mankato, Minn., branch). This was a customer and team member focus innovation. Mazuryk developed a tool that utilizes a remote control that will trigger air to the brake system. This will allow the technicians to be under or behind the trailer to observe the moving parts of the brake system, which allows one person to accomplish the task. 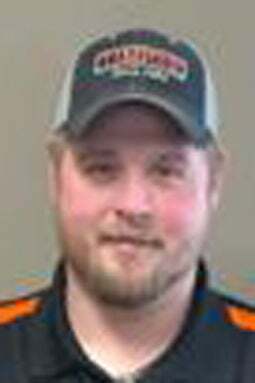 Shipping Container CoverAward received by Justin More, service writer (Mankato, Minn., branch). This was a customer and financial focus innovation. A large excavating company was looking for a solution to cover a shipping container. More worked close with the customer design a configuration that would suit the customer’s needs. The customer reported back that they were very happy with the performance of the system with the likelihood of more to come. Eliminating Waste—End PanelsAward received by Warren Way, team leader (Thunderstone). This was a financial focus innovation. Way developed a means to eliminate the need to “cut” end panels for the 39’, 44’, and 49’ long tarps by adjusting end pockets. This saved approximately four minutes per tarp and reduced the amount of material that was scrapped. Ez Flow Manual Opener Design InventiveAward received by Jim Rabenberg, territory sales rep (Council Bluffs, Iowa, banch), Justin Bell, designer (David City), Gary Burnison, shop foreman (Council Bluffs, Iowa, branch), & Nathan Trombley, continuous improvement manager (David City). This was a customer, financial and team member focus innovation. This team was challenged to design a new EZ flow system that was better than the noisy, expensive, and not maintained one we currently have. All stake holders from customers to sales staff were talked with to find out what they wanted to see in a new system. This lead to a new design that enhanced market acceptance of the EZ Flow Trap Opener. Aluminum Angel SourcingAward received by Joe Matthews, fabrication (David City). This was a financial focus innovation. Matthews determined the correct length of extrusion to purchase of our 2”x2”x1/8” thick aluminum angle in order to limit the amount of scrap generated. Line Movement Kaizen Group Award received by Tom Maher, operations manager (David City), Jose Rivera, assembler (David City), Nathan Trombley, continuous improvement manager (David City), Roger Eaton, team leader (David City), Caleb Staub, assembler (David City), Efrain Robledo,assembler (David City), Don Prochaska, production supervisor (David City). This was a customer, financial and team member focus innovation. The team took on the task to overcome the obstacle of gaps in the assembly line which caused yield/produce fewer trailers than planned which means loss of labor hours and team members waiting around. They established takt times for each line rate and set move times accordingly. A buzzer will now sound for the entire line to move forward to the next station. New Tarp Cap Enclosure Award received by Roger Eaton, team leader (David City), Justin Krzycki, drafter (David City), Nathan Kool, production supervisor (David City). This was a customer, financial and team member focus innovation. The team redesigned the tarp cap to not adversely impact the cost or appearance of the trailer. They removed a bottleneck from the assembly line by moving a large portion of the work for the assembly of the tarp cap closeout to an off line subassembly area. It also improved the ease and safety of the balance of the installation work that remained on the assembly line. Customer Documentation- Streamlining Award received by Jorge Garcia, inside sales representative (David City branch). This was acustomer and financial focus innovation. The Customer Trailer Packet is provided to customers at the point of release. This is a very time consuming and costly process for members of the trailer release team. During 2018, Garcia changed the Customer Trailer Packet content and assembly process by eliminating certain vendor literature and reducing the labor time required to create each packet. End of Harvest Giveaway Award received by Sarah Kroesing, administrative assistant (David City branch), Jane Mastera, administrative assistant & office facilities coordinator. This was a customer focus innovation. There was a discussion regarding the challenges to get orders in to the factory and challenged the entire Timpte team to think of new and innovative ideas to drive new trailer sales. Upon hearing this message, Kroesing and Mastera came up with the idea to create an “End of Harvest Giveaway” campaign that was set up and displayed at each branch. Every customer that purchased a new trailer from October 22 through November 30, entered their name in to the drawing. One winner was chosen from all nine locations. Medical Benefits New Hire Process VendingAward received by Joni Konwinski, HR manager (David City), Tara Mleynek, HR generalist (David City), Alecia Schmit, HR assistant (David City). This was a financial focus and team member focus innovation. The HR team helped to enhanced employee benefits, added dental and vision, changed providers. Improved the vending machines by adding healthy food options. They also decreased time to process a new hire while continuing to be the best place to work. Big congratulations to the award winners as well as all other nominees for this special award. Timpte appreciates the hard work and dedication of their employees!